Everybody has had one of those days where they wake up feeling extremely groggy because they may have slept in for too long. Who doesn’t enjoy a good nights rest anyway? 10 hours may seem like a long time for a human to sleep but some animals sleep upwards of 15 hours on average per day. Could you imagine spending more time asleep than awake every day? I wonder what these 15 animals dream about. 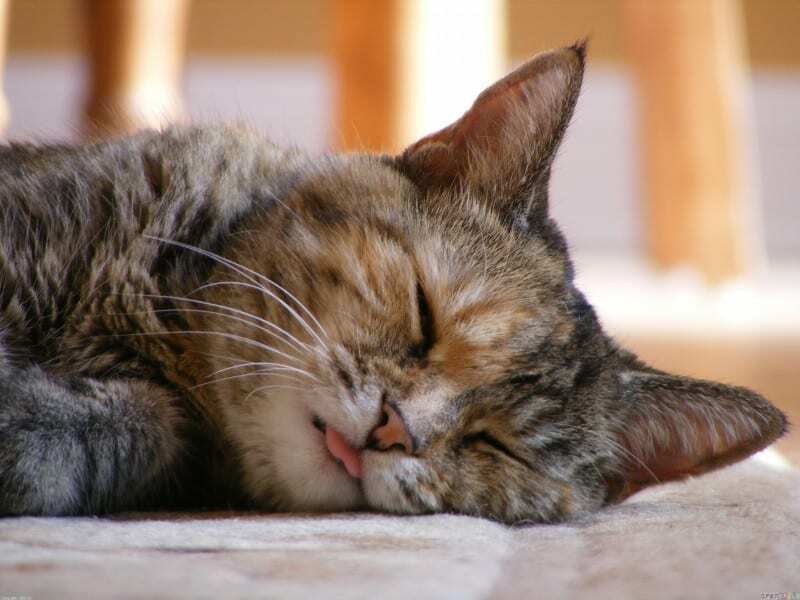 If you have a feline friend of your own at your house then it will come as no surprise that cats sleep a lot. In fact, cats sleep on average of 11-12 hours per day and sometimes even longer. Cats are actually most active between dusk and dawn which is why you see them spending a good amount of the day asleep while you are going off to work. So while you are having sweet dreams yourself, your cat could actually be roaming the house and exploring or getting into all sorts of trouble. Luckily your cat may also be eliminating any sort of pests around the house as well. When squirrels aren’t spending their time running around, collecting nuts or being busy in their trees, squirrels can be found spending the rest of their time turning in for a good night of sleep. 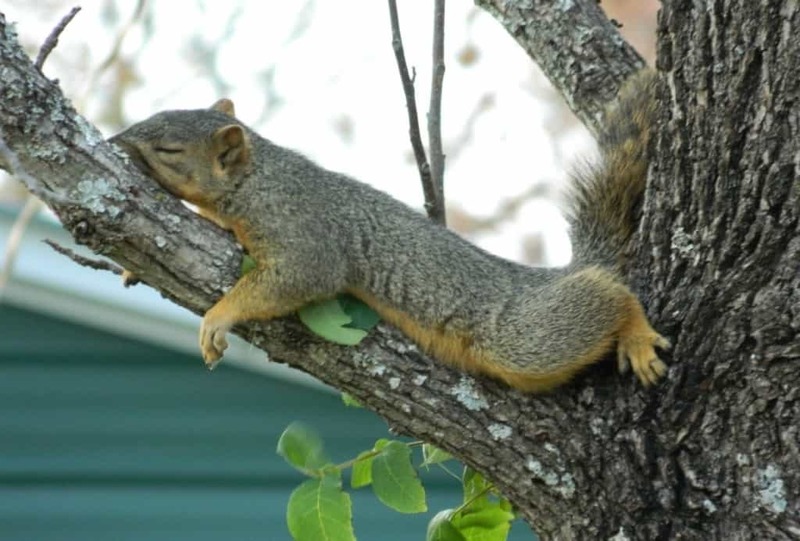 Squirrels may spend on average about 13 to 14 hours a day sleeping. In fact, they are not usually nocturnal and spend their days awake and nights asleep which is why you may see them so often if you are taking a walk through your local park. When people go to the pet store and bring home a hamster, they may be confused as to why their new friend is very active at night. 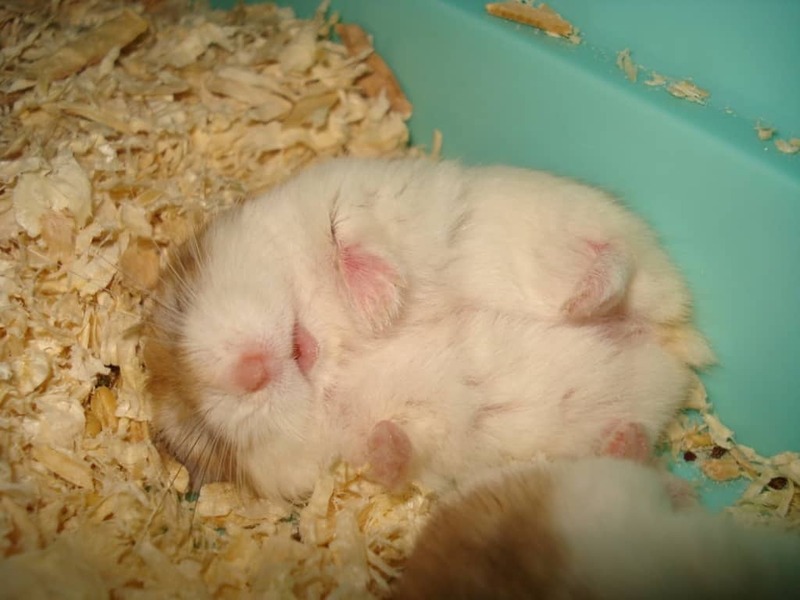 Hamsters are nocturnal creatures meaning they sleep for most of the day and are awake for most of the night. Your pet hamster may sleep for an average of 14 hours a day but can be up all night making all sorts of noise while scampering about in their cage. Next time you think about getting a new pet, make sure you understand its sleeping patterns. Platypuses spend more of its time in so-called REM sleep than any other mammal. REM stands for “rapid eye movement” and is the kind of sleep in which the brain may be more active than it usually is when it is awake. In humans, REM sleep is typically associated with dreaming. The platypus spends an average of 14 hours per day asleep. 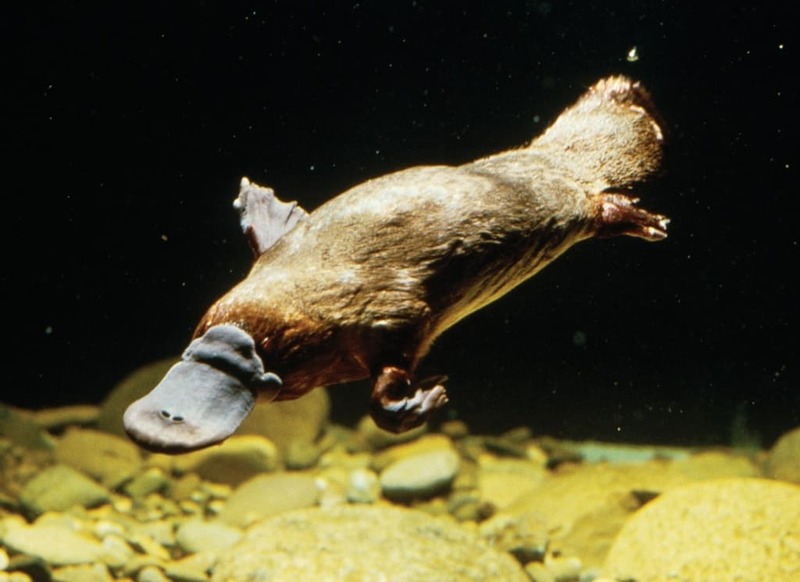 Bonus fact: the platypus is one of the few mammals to actually produce venom. What’s a tree shrew? Is that a squirrel? Treeshrews are small mammals that are native to Southeast Asia. Even though they are called treeshrews, not all species live in trees nor are they true shrews. 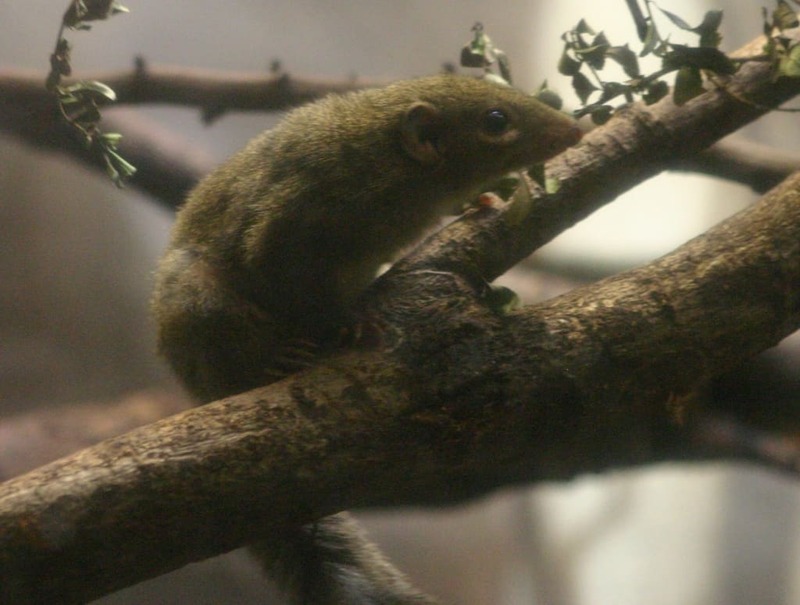 Treeshrews are actually closely related to primates among the order of mammals. On average, a treeshrew may spend about 15 to 16 hours a day sleeping. Big or small, cats tend to sleep a lot. In fact, tigers have a lot in common with the common house cat in terms of long sleeping patterns. 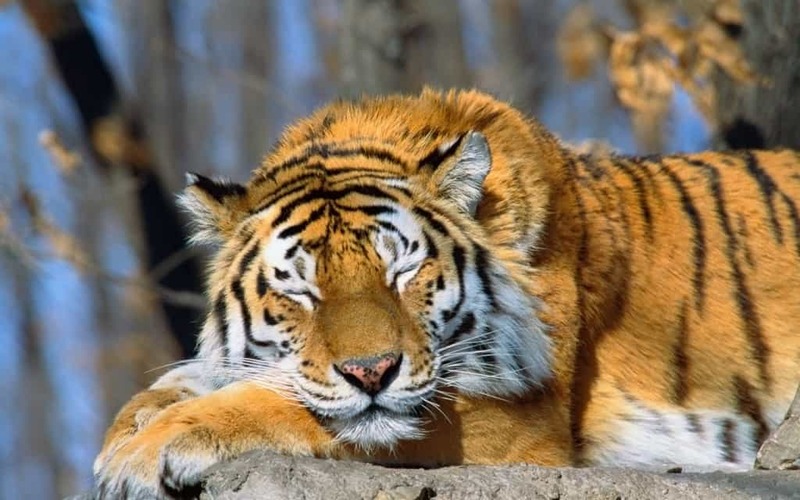 You may find more photos of tigers sleeping or resting about rather than action shots due to their leisurely schedule. A tiger may average upwards of 16 hours of sleep a day. Their favorite resting spots include shallow water holes, partly due to the cool temperature as well as a way to keep pesky bugs off of them. No matter where you find a cat, whether its at home or in the African wild, big or small cats love to sleep. However, lions are quite unique as they are the only cats to live in prides or groups. They are the top predator in any African ecosystem where they might live as well as the largest member of the cat family. 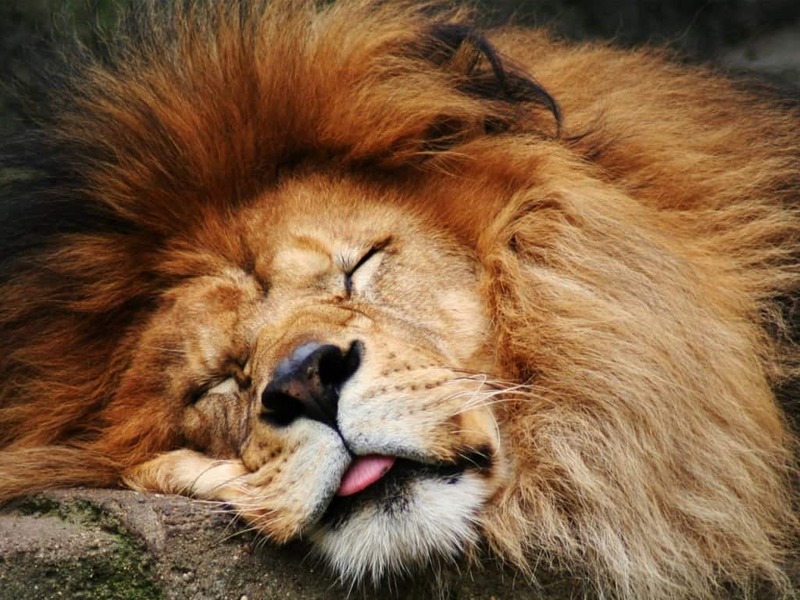 Lions can sleep an average of upwards of 16 hours a day. Native to Madagascar, the fat-tailed dwarf lemur is known to be the worlds only hibernating primate. 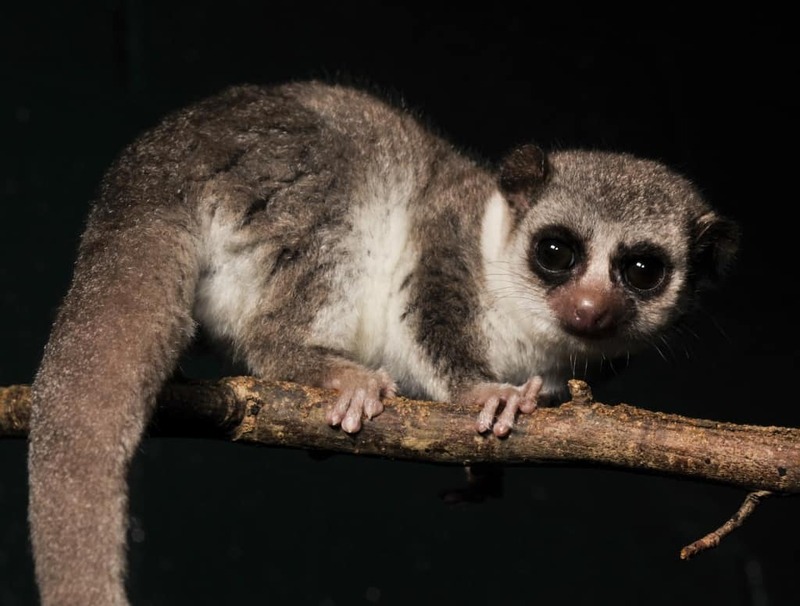 Scientists have also found that the fat-tailed dwarf lemur is the only known animal to fully fall asleep while hibernating in its natural environment. Lemurs may average around 16 hours of sleep per day but the fat-tailed dwarf lemur in particular is quite the special sleeper. Lemurs are also closely related to humans so this may give us more of an understanding of sleep in our daily lives. Also known as a night monkey, the owl monkey can sleep an average of 17 hours per day. Owl monkeys are actually one of the few monkey species that are affected by the deadly malaria protozoan which unfortunately makes them good test subjects for malaria research. The term “night monkey” actually stems from the fact that these monkeys typically spend their nights with very active behavior. 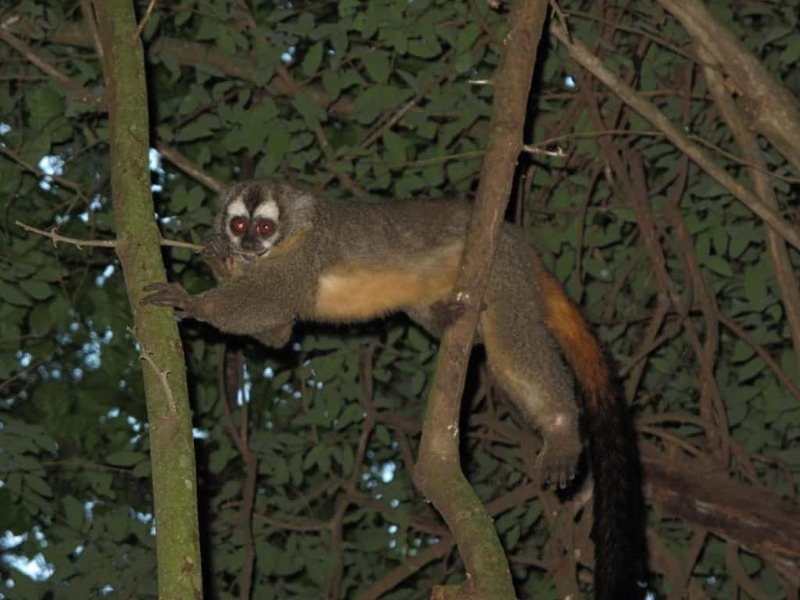 They are nocturnal monkeys with a notably wide variety of vocal sounds. 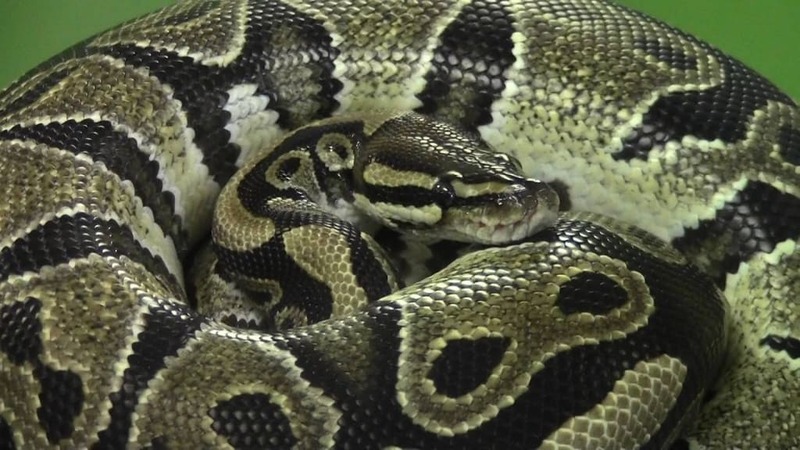 People may often fear large snakes such as pythons but these reptiles spend a lot of time with very little activity. In fact, when the reptile is getting ready to shed, it may spend days or even weeks being inactive. Typically the snakes spend about 18 hours asleep with very shorts bursts of energy. Next time you see a large python just remember that they can be very lazy and inactive if you are afraid of them. It’s typical that you will never see an opossum during the day but you may find them wandering around at night. A common myth of opossums is that they sleep in trees hanging upside down from their tails. They may climb trees in order to escape predators or if they are in search of food but they do not actually sleep in the branches of trees like birds. 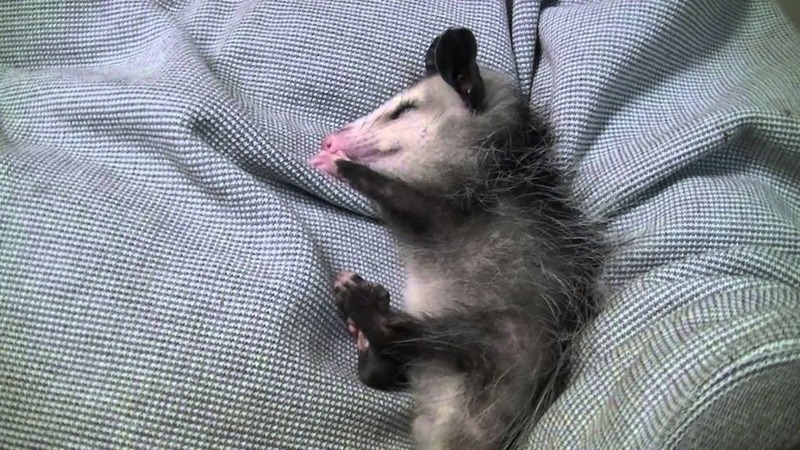 Instead, the opossum makes a den in the ground and may spend around 19 hours on average sleeping. 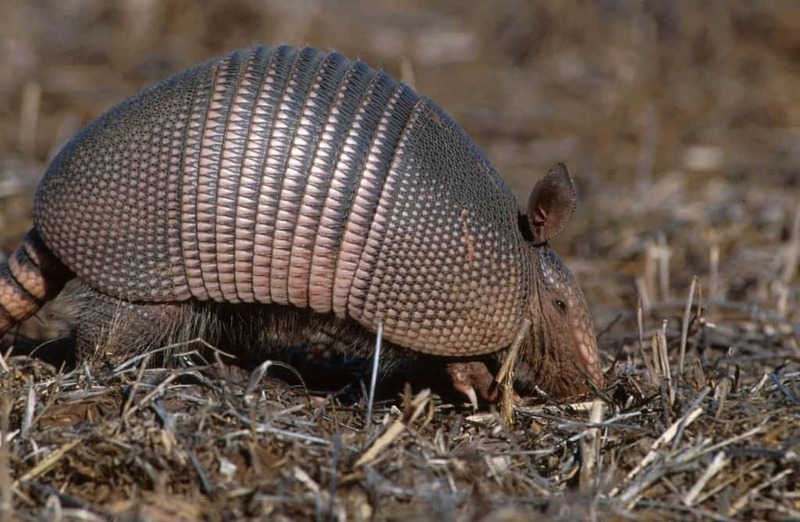 Armadillos are the only mammals to have armor-like shells. The armadillo is usually active at night and may sleep for around 18-19 hours throughout the day. Generally, they spend their sleep time in the safety of burrows that they make. The nine-banded armadillo is the most common species of armadillo found throughout North, South, and Central America and are typically solitary animals. These sleepy animals are actually known to transmit Leprosy in humans so if you ever actually have the chance to see one, it is best to not come in contact. The brown bat is one of the most common bats in North America and has also been the model organism for studying bats. They can be very active during the day in the spring time, where they can be heard loudly squeaking. They have been said to sleep an average of 19 hours a day and spend time at night hunting for insects. 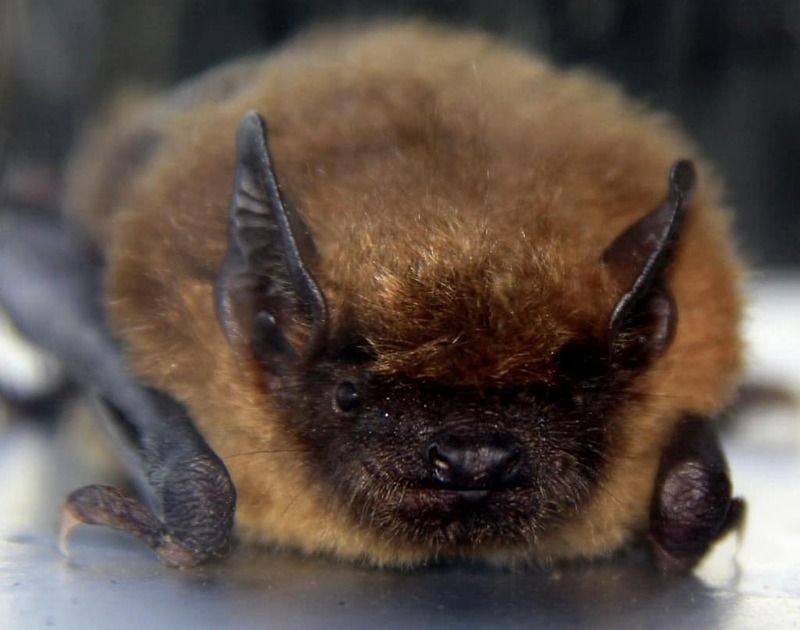 In the winter, brown bats may either migrate to a different location or they may hibernate in order to deal with the cold. In many instances brown bats will do both. It should come as no surprise that the creature that shares a name with the deadly sin of laziness is one of the sleepiest animals in the world. The sloth may average around 20 hours of sleep per day, however this can vary depending on the environment the sloth is living in. 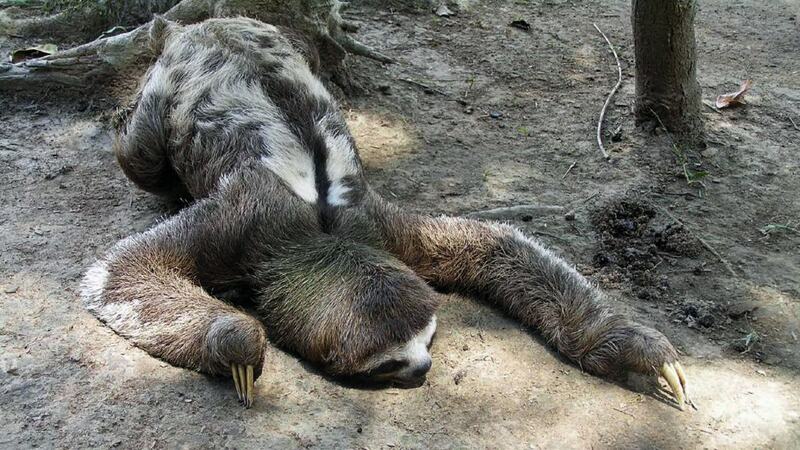 Sloths have also been recorded sleeping for only around 9 hours a day in captivity. The truth is nobody really knows their true sleeping schedule. Their claws make it somewhat difficult to walk on the ground so they spend most of their time climbing and hanging in trees and they may sleep hanging upside down in a tree. 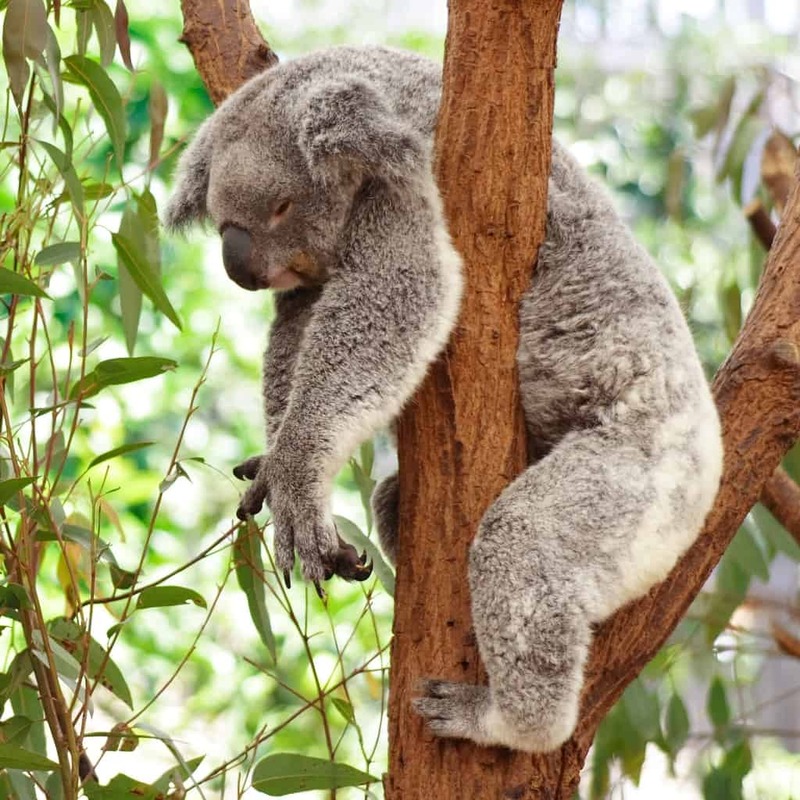 Congratulations to the koala for being the sleepiest animal in the world. Native to Australia, these marsupials, that’s right they are not actually bears, can sleep up to 22 hours a day. They sleep in the branches of eucalyptus trees high above the ground from any danger. Their low metabolic rate requires a lot of time for the eucalyptus leaves that they feed on to be digested. A common misconception is that they end up getting intoxicated on the leaves that they feed on causing them to sleep but this is not true.